We kicked off our summer with a trip to steamy Florida to attend InfoComm 2011 in Orlando. Much as we hated to leave at the beginning of a gorgeous New England season, InfoComm is a "don't miss" event for us. As the largest professional audio visual trade show in the world, InfoComm is the leading showcase for the latest products and technologies. Participation at InfoComm and other shows helps us stay in the forefront of technology and share the newest solutions with our customers. In this month's newsletter, we highlight a few of the products that caught our eye. Two products will “wow” everyone, while two others perhaps only a techie could appreciate. Enjoy the article and let us know if you want to find out more about these or other cutting-edge products. We look forward to hearing from you! The InfoComm trade show is the best place to get an advance look at the latest audio visual products and technology. This year’s show featured 950 exhibitor booths, displaying everything from audio components to digital signage and telepresence systems. We scoured the aisles to find the most exciting or useful products for our customers. Then we compared notes and selected four products that were our “Best in Show”. 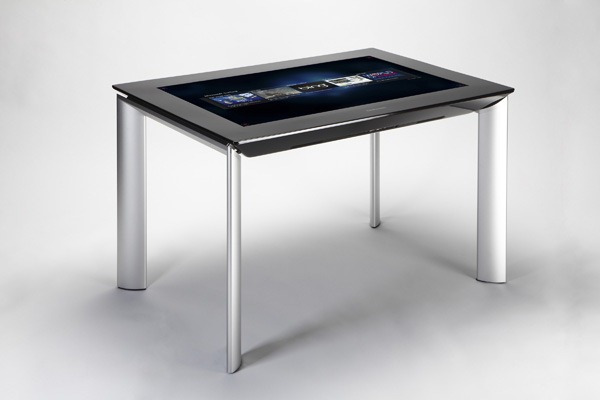 Advancements in touch screen technology are revolutionizing how people work together. Two products stood out as great additions to meeting rooms, conference centers, classrooms and any other environment in which people collaborate together on projects or share information. Samsung and Microsoft partnered to bring tables and walls to life with large format touch screens. 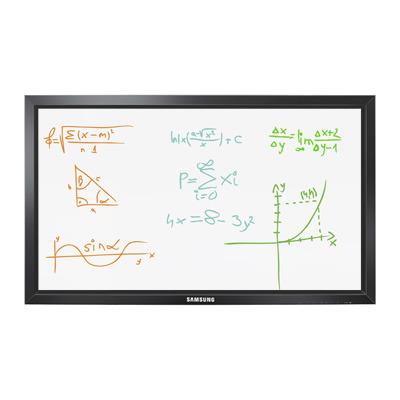 With a swipe of a finger, you can view documents, photos or video in a large format that is perfect for group presentations and discussions. The LCD display recognizes fingers, hands and objects placed on the screen, including more than 50 simultaneous touch points. The product is only 4” thick and easy to use horizontally, vertically, or embedded in walls or custom enclosures. PixelSense --Gives an LCD display the power to recognize fingers, hands and objects placed on the screen, including more than 50 simultaneous touch points. With PixelSense, pixels in the display see what's touching the screen and that information is immediately processed and interpreted. Thin form factor with multiple configuration options --The product's 4" thickness makes it easy to use horizontally, hang vertically with the VESA mount, or embed in walls or custom enclosures. Standard legs are available or customers can design and attach their own. 40" Full HD 1080p screen --Enables superior multi-user experiences in full HD 1080p with a16:9 aspect ratio and 1920x1080 resolution. Powerful embedded system --Uses the embedded AMD Athlon™ II X2 Dual-Core Processor 2.9GHz paired with the AMD Radeon HD 6700M Series GPU featuring DirectX 11 support to deliver significant processing horsepower and outstanding graphics capability. This is the next evolution of the classic white board. Sophisticated technology lets you present and manipulate information with the touch of a finger. The optical touch capabilities permit two people to work on projects at one time. Content may also be viewed and changed over a wireless or wired network from individual computers or other equipment. The products presented here are missing the cool factor of the touch screens - unless you, like us, are fascinated by behind-the-scenes technology. We are excited that products are now available to preserve signal quality for high definition (HD) video over long cable lengths. Until recently, cable length had a huge impact on signal quality. Longer cables reduced the quality of the signals. The better the signal quality, the more it would suffer if longer cable lengths were used. Two-way communication between technologies was often lost, or other glitches would arise with longer cable lengths. What was supposed to be a seamless system sometimes proved to be a source of constant frustration. The products highlighted below are workhorse technologies that make HD video systems operate more smoothly. The Extron XTP T HDMI is an XTP transmitter that sends video, audio, bidirectional RS-232 and IR, and Ethernet up to 330 feet (100 m) over a single CAT 5-type cable. It is HDCP compliant, HDMI 1.3 compatible, and supports 1080p/60 Deep Color and 1920x1200 signals. The transmitter also allows Ethernet extension and insertion of bidirectional RS-232 and IR for LAN access and AV device control. The XTP T HDMI transmitter works with the XTP CrossPoint® System for signal distribution and long-distance transmission between remote endpoints. The Extron SME 100 is a live streaming media encoder that interfaces with DVI, RGB, HDTV, and standard definition signals for delivering media over IP networks. It is designed specifically for pro AV applications and features an integrated three-input switcher with audio, plus buffered loop-throughs for simplified integration into AV systems. The SME 100 employs standards-based H.264 / MPEG-4 AVC encoding, and outputs an IP stream that can easily be decoded and viewed on desktop or laptop PCs. High performance Extron signal processing scales and optimizes video input signals for the intended viewing application. Encoding controls also provide adjustments for bit rate and quality. By extending AV signals over networks, the SME 100 significantly expands AV system capability.